POSCO participated in the 2017 Asia Pacific Gas Conference (APGC 2017) held at Daegu EXCO from September 27 to 29 to showcase its steel products for the gas industry, including high manganese steel and LNG storage tanks. Jong-sub Lee, executive VP of POSCO (third from right) explains POSCO’s products to Young-jin Kwon, Mayor of Daegu Metropolitan City (fourth from right) and Young-doo Kim, VP of Korea Gas Corporation (second from right) at the POSCO exhibition booth. The Asia Pacific Gas Conference is the only gas-related international conference in Korea, first held in 2015. This year, under the theme of natural gas in the future energy market, more than 100 domestic and overseas companies participated, and showcased new technologies and products. POSCO promoted its high manganese steel, 9% nickel steel, stainless steel and POSCO E&C’s LNG Terminal design and construction technology during the event. The exhibition space at this year’s event was divided into Product, Solution, PR and Business zones, and on display were steel products related to LNG carriers, high manganese steel LNG storage tanks and onshore LNG storage tanks. 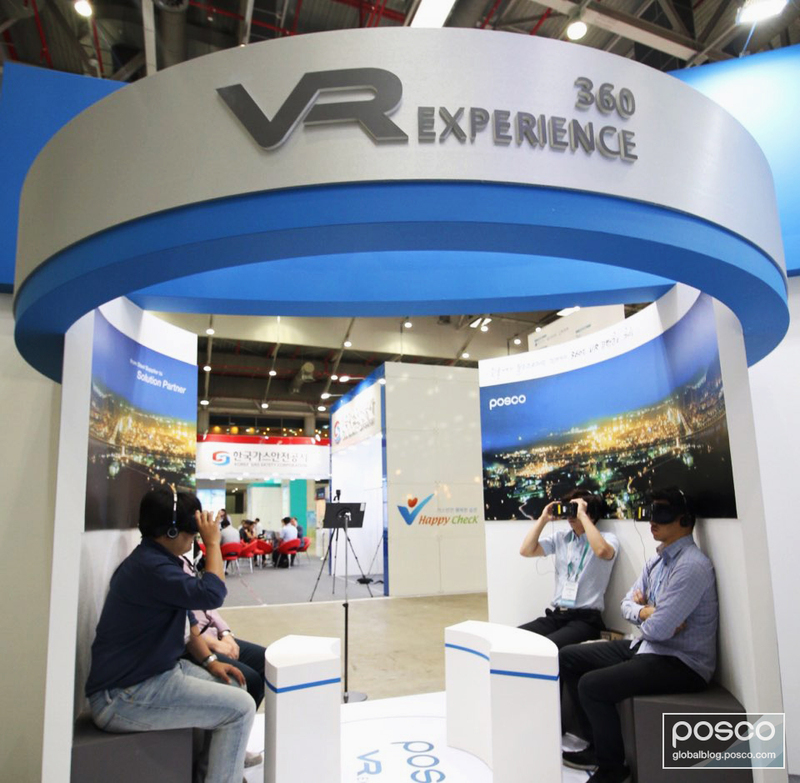 In addition, visitors were able to experience the production of POSCO GIGA STEEL and POSCO’s smart via VR videos. The conference covered topics such as the natural gas industry’s development plans, natural gas and LNG infrastructure as well as new transportation and storage technologies. POSCO also presented a case study of high manganese steel development and production during the part of the conference focused on new material solutions for the LNG industry. Visitors to POSCO’s exhibition booth watch VR videos about the steelmaking process and the qualities of POSCO GIGA STEEL. POSCO was able to take away key insights on the recent and future trends of the gas industry, create new business opportunities with potential customers and expand its business with existing customers during the conference. 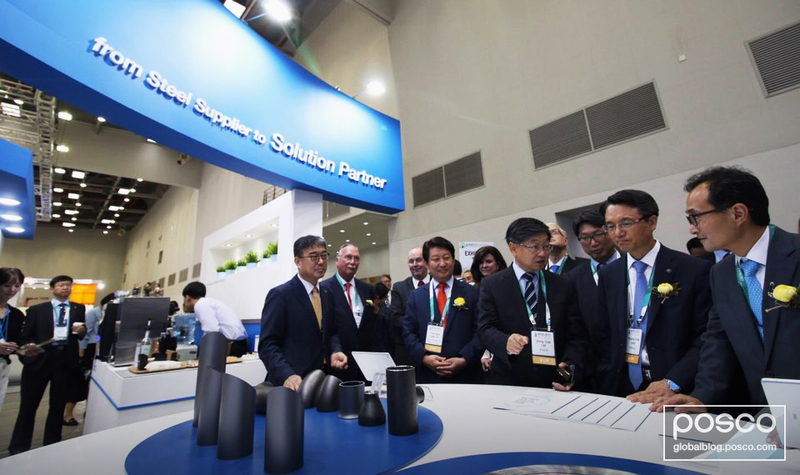 With the new-found knowledge and partnerships, POSCO will work to find more customized and innovative solutions for its partners in the gas industry. Cover photo courtesy of APGC 2017. Don’t miss any of the exciting stories from The Steel Wire – subscribe via email today.